This product is 100% hand-made, the teeth holes inside and wood were not perfectly finished, the little holes may contain some original wood color and dust, the surfaces inside the holes were not 100% perfectly made, please refer to the photo, thanks for your understanding. 1 Pack of First Tooth Keepsake. Made of Wood, the wood finish is exceptional, 5 Layers of Gloss Lacquer. 20 small holes for storing upper and lower teeth. Hidden magnet cover, modern design. 1 big hole, 3 corner holes for hair / nails / cords / Curls. Coloured record card, record growing and falling date of each teeth, Baby personal details. Round Corner Sharp, no harm to babies / kids. 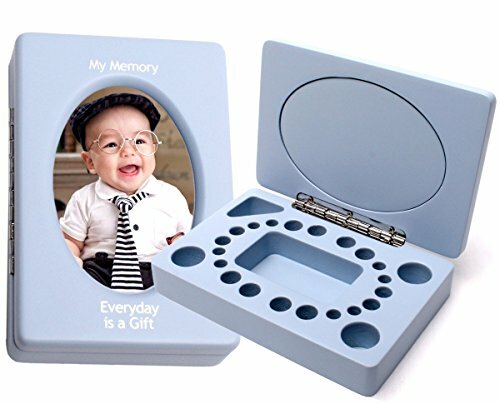 Hidden magnet for holding pictures, can be changed for any time. If you have any questions about this product by Maro Megastore, contact us by completing and submitting the form below. If you are looking for a specif part number, please include it with your message.